John L. Houchen, Captain, United States Army, Company A, 120th Indiana Volunteer Infantry. He enlisted as a Private and was mustered out of the volunteer service as a Captain. Born in 1841 and died in 1911. He was buried with full military honors in Section 1 of Arlington National Cemetery. The following family members are buried with him. 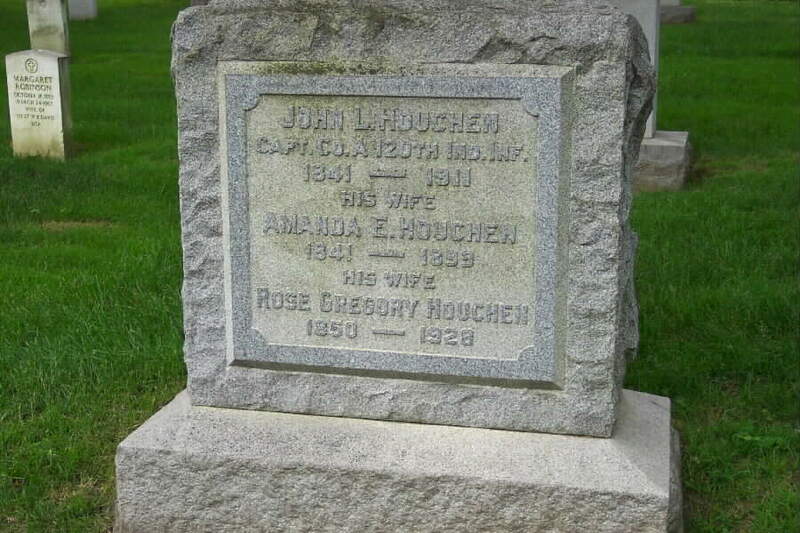 Amanda E. Houchen, the first wife of John L. Houchen (1841-1911. Rose Gregory Houchen, the second wife of John L. Houchen (1868-1928). Grace Houchen, the daughter of John L. Houchen (1884-1981). Research regarding his career continues.